Ann Thomas has over thirty years of experience in bank accounting and control. She received a BA in Accounting from the University of Houston in 1982. She worked with Judith Alexander Jenkins for 15 years, providing planning, financial reporting, regulatory reporting, and operational and compliance auditing services to over ninety independent banks. In 1998, she organized Thomas Consulting. As Thomas Consulting, she has performed regulatory compliance audits and training, internal control audits, and prepares and reviews Call Reports for numerous banks. 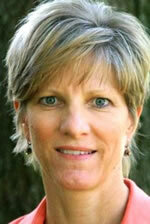 Ms. Thomas has taught call report seminars for state banking associations since 1999. She has presented the Call Report Seminars to and has responded to questions from thousands of bankers across the country. Her experience in working with a broad range of independent banks is of unique value in understanding Call Report questions and in communicating with bankers in their own language. This 5 part webinar series will be held on May 5, 12, 19, 26, and June 2. Please register for this event at https://www.bankwebinars.com/2420/bank-call-report-preparation-for-beginners--five-part-series. Designed for bankers new to call report preparation, this series will cover basic reporting requirements, operational schedules, loan schedules, maturity and repricing, and Basel III risk based capital, plus recent accounting changes affecting the Call Report. The webinar series will cover the call report in schedule order. The first webinar will explain general reporting requirements, including consolidation rules, filing deadlines, procedures, and call report resources. In addition, the income statement schedules, RI and RI-A, which can be prepared using the general ledger, will be covered. The second webinar will continue with the last three income statement schedule, RI-B, RI-C, and RI-E and follow with coverage of the balance sheet schedules, starting with RC, followed by the detail balance sheet schedules RC-A and RC-B. There will also be a detailed discussion of the loan classification requirements for RC-C. The third webinar will continue with the remaining line items on RC-C, parts I & II, followed by coverage of RC-E, RC-F, RC-G, and RC-K. The fourth webinar will cover the remaining call report schedules other than risk based capital, RC-L, RC-M, RC-N, RC-O, RC-P, RC-Q, RC-S, & RC-T. The final webinar will cover risk based capital under the Basel III rules. Designed for bankers new to call report preparation. This 2 hour event was recorded on Friday, May 26th, 2017.